Telenor comes with the largest number of subscribers from all over the world. It got this position due to its more than 176 million subscribers from 12 countries in different provinces of the globe. It gained its popularity due to its high-quality and effective communication services, voice and data packages. Here we are going to discuss the Telenor call packages for the subscribers in Pakistan. 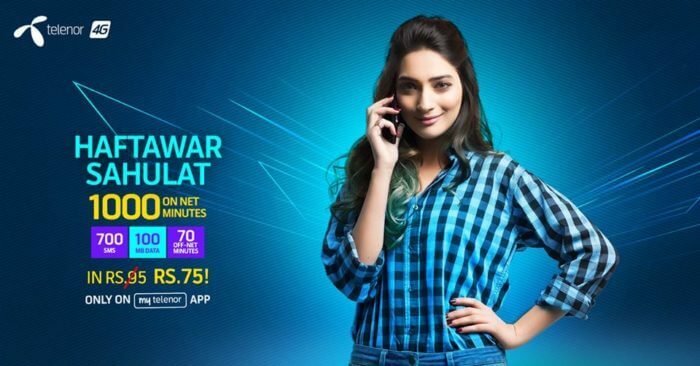 It claims to offer the most nominal call rates via Telenor call packages. The subscribers can enjoy lower call rates with high-quality services via these packages. These include daily, weekly, and monthly packages. 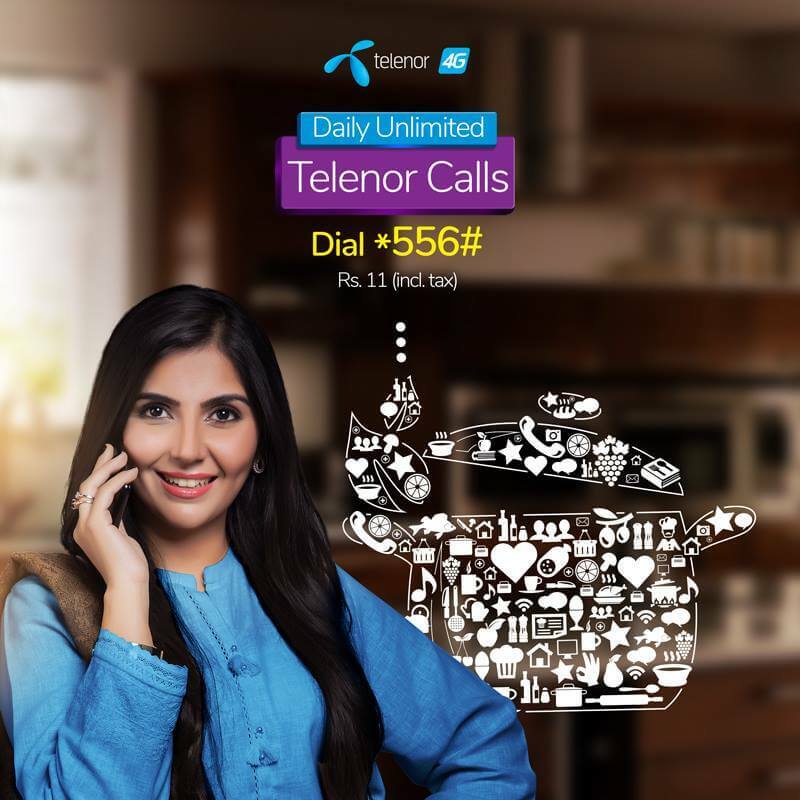 This package is good for getting 2 hours of talk time to any Telenor number. It also includes 200 MB internet data with 50 MB Facebook data. This offer will expire after 2 hours from the time of subscription. The user can activate the offer multiple times. It’s another amazing to makes call on any network at Rs. 0.02/sec only. It remains valid for 1 day from the day of subscription. In this offer, you can get 20 free minutes to make calls on all networks upon recharging Rs.100 or more. The free minutes will be valid for 1 day till midnight. You will get 75 free minutes to make calls on the same network for the entire day right after subscribing to this offer. You can also re-subscribe to this offer once you have consumed all your free minutes within the same day. Stay connected with your friends and family for a whole by subscribing to this daily call offer. It gives you unlimited on-net voice data and 60 MB internet data. This offer expires at midnight from the day of subscription. It can’t be activated multiple time in a single day. This is another daily voice package where you get 100 on-net minutes and 300 free SMS in Rs. 18 for a whole day. This mini-budget offer comes with 4 MB internet data along with 50 on-net minutes and 300 free SMS in Rs. 15. Its validity is for one day from the time of subscription. In this bundle offer, you will get 50 on-net minutes in Rs. 10 for a whole day. You will also get 10 MB internet data in this package. You can enjoy 250 on-net minutes and 25 off-net minutes by subscribing to this offer. Besides this, you will also get 250 free SMS, 50 MB internet data, and 100 MB for WhatsApp, Facebook, and Twitter. With this offer, you can make unlimited calls on the same network for 12 hours from 6 AM to 6 PM. You will also get 6 MB internet data for 3 days. This is a super hit offer to make unlimited calls on the same network at Rs. 34/- for 3 days. This excludes the time from 7 PM to 10 PM. This is an all-in-one offer where you get 150 on-net free minutes and 15 off-net minutes. It also contains 150 free SMS and 150 MB internet data. This is another all-in-one offer where you get 600 on-net free minutes to make calls for 3 days in Rs. 39 only. It also contains 300 free SMS and 50 MB internet data. This offer gives you all the calling freedom for a whole week in Rs. 50/- only. You will get 1200 calling minutes along with 800 minutes to make calls on the same network. This is an amazing weekly offer where you get a talk time of 1000 on-net minutes and 70 off-net minutes in Rs. 95 for a whole week. This package also contains 700 free SMS, 100 MB internet data, and 350 MB Social pack data for Facebook Twitter, and WhatsApp. This is an economic package for the Telenor subscribers. You will get 500 on-net minutes, 1000 free SMS, and 50 MB internet data by subscribing to this offer. This weekly offer gives you 2 paisa/sec call rate for all networks for a whole week. You can also send unlimited SMS at 2 Paisa/SMS rate on all networks. The subscribers can also get a weekly EasyCard to enjoy 600 free on-net minutes and 40 off-net minutes to stay connected to your loved ones for a whole week. This card also contains 600 free SMS and 600 MB of internet data. Telenor EasyCard gives you freedom of making calls on the same network for 500 minutes and 40 minutes on other networks for a whole month. This card also includes 500 free SMS and 500 MB internet data for the whole month. With Telenor EasyCard Plus, you can have a talk time of 2000 on-net minutes and 150 off-net minutes for a whole month. This also includes 2000 free SMS and 2000 MB internet data to keep connected with the world. This is an ultimate monthly package where you get 3000 on-net minutes, 3000 free SMS, and 300 MB internet data in Rs. 418 only. 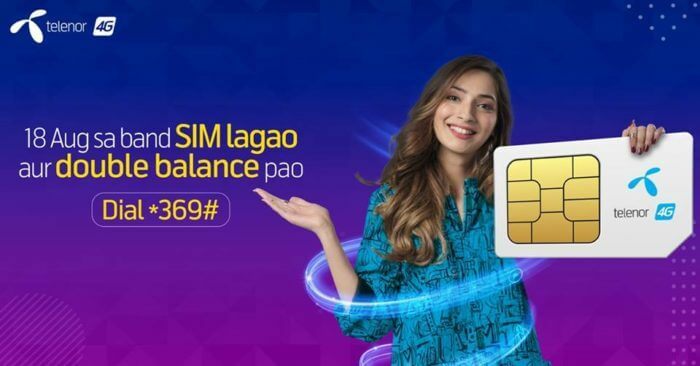 If a subscriber has not been active since 14th December 2018, then he can avail SIM Lagao Offer by recharging his Telenor number. Upon reactivation, you will get 3000 free on-net minutes and 300 MB internet volume. This offer is valid for 60 days. Dial *369# after inserting your SIM to avil this offer.